A PBS should, first and foremost, be designed around the user experience. Users are the customers and benefactors, and are ultimately the people who will pay for the system — whether directly or indirectly. All aspects of the system design should be based on creating that user experience. 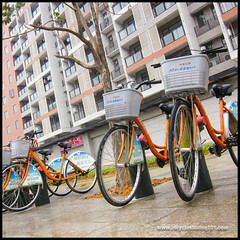 Secondly, a bicycle sharing system should be designed to be part of the community it will serve. The word “part” is all-encompassing in this respect: the PBS should form a part of the aesthetic and the inherent style of the city it is in; it must embody the perceived essence of the people of that city to be accepted and become part of their communities. In doing this, the governing body should determine what kind of system they want and who “they” are. * Who is going to use this? * What are they going to use it for? * Where are they going to want to go? 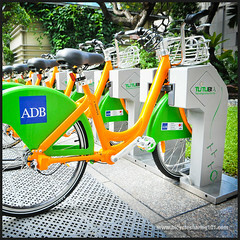 * How can the PBS be integrated into the existing public transport system and larger community? The list can go on and on but the point is that desire should drive design. In the end, each question will be answered through a mixture of the governing body’s ideology, public opinion and a look at best practices and innovation globally. Through the answers to the list of questions, a picture of the system will start to appear. From this point on, the exercise is in matching that picture to the reality on the ground. The system design process should be driven by what is wanted or needed, rather than merely by what is available and/or affordable. Of course, the best way to get what you want is to actually go through the process that will enable you to know what you want. At this point it is important to mention financing. The amount of financing available — and the strings attached to it — plays a paramount role in a PBS. So, while we will go through an idealistic approach to system design, the reality is that vested interests are going to play into design, and those interests are usually associated with money and power (financing and governing body support). A trick of the trade is to get a decent first phase of the project up and running. Thereafter the system will have proved itself, and expansion, both in terms of size and scope, will be easier to find financing and support for. PLEASE CONTRIBUTE YOUR PEER REVIEW of this chapter. If you are an industry expert who has read the book, we would value your feedback. 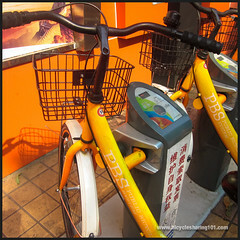 The photographs and figures below illustrate some of the aspects of the ‘System Design’ chapter in the book Bicycle Sharing 101: Getting the Wheels Turning. They are meant to be viewed in the context of reading that chapter. 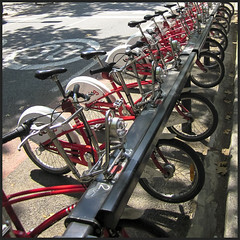 FIG 1: The diagram below illustrates how the evolution of productivity has been mirrored by the evolution of bicycle sharing systems. ABOVE: Guangzhou’s system uses attendants to assist people with the automated functions as well as for manual registrations. 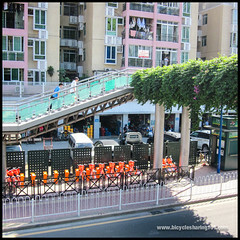 ABOVE: At this large station in Shanghai, excess bicycles are corralled nearby, and brought into the system by attendants when required. 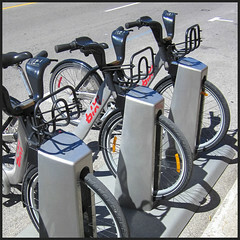 ABOVE: London’s Barclays Cycle Hire and Washington DC’s Capital Bike Share used the off-the-shelf system developed by Canada’s Public Bike Share Company, first showcased in Montreal by Bixi. FIG 2: The table below summarises the key advantages and disadvantages of investment into off-the-shelf systems vs the development of new ones. Hi Mr Schroeder, I was wondering if you had any opinions on the dockless system (LimeBike) versus the conventional docking stations system. Any pros and cons in you opinion? Great book!